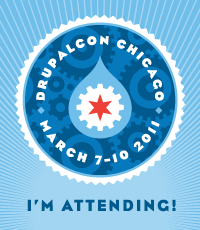 Durham, NC – Kosta Harlan, Developer at DesignHammer, will be attending DrupalCon Chicago, the world’s premiere Drupal conference. Durham, NC - Web Design and Development agency DesignHammer has again been included in Triangle Business Journal’s book of lists on the Top Internet Marketing and Design Firms and top Graphic Design firms in the Triangle. This year, DesignHammer was ranked 17th and 8th in the Internet Marketing & Design list and Graphic design list respectively. The ranking is based on number of employees and percentage of work dedicated to that area of expertise. Durham, NC – Web Design and Development agency, DesignHammer, is proudly continuing its sponsorship of the historic Carolina Theatre in Durham for the 2011 season. The theatre has been a Durham institution since opening in 1926 and is today one of the primary contributors to the performing arts in the Research Triangle. The theatre produces live shows featuring nationally touring acts as well as offering regular screenings of classic and contemporary films. Read more about Interested in hiring us for your next project? The Carolina Theatre has been a downtown Durham landmark since the main stage opened in 1926. Today, it is a primary contributor to the performing arts scene in the Triangle, producing live shows as well as operating as an independent cinema. By early 2009, management of the theatre recognized a need to update the website to make for a more enjoyable experience for users of the website. They sought to generate awareness of their productions and elevate involvement with the theatre through an engaging online presence. To attain the goal of a highly interactive website with a constant flow of fresh content, we replaced the existing website with a redesigned one utilizing the Drupal open source content management platform. Drupal will simplify maintenance for the administrators of the website as they are able to modify content without assistance from a web developer. Carolinatheatre.org has improved usability and new features to augment the overall user experience. New features include a comment and rating area for visitors to the theatre to discuss programming as well as a comprehensive Durham guide to assist in planning an entire evening out in the city. The new look for the website highlights the building’s unique historic value while also generating a stylish vibe that accentuates the modern performances presented on the main stage. The eye catching design and ease of use has solidified the theatre’s website as an enjoyable destination for great arts programming in the heart of Durham.